Curiosity is and forever will be at the forefront of adventure. 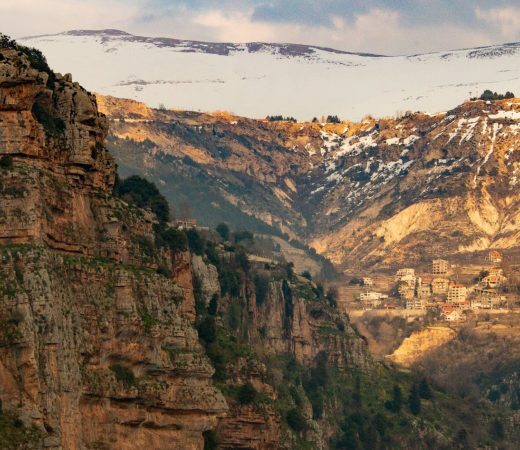 It drives us to discover what lies over that mountain pass or around the next headland, how far we can push, or how daily life unfolds in a culture so far removed from our own, and ultimately experience alone cures the itch. Inside the Arctic Circle in northern Siberia, the Yamalo-Nenets autonomous region is home to the indigenous nomads known as the Nenets. 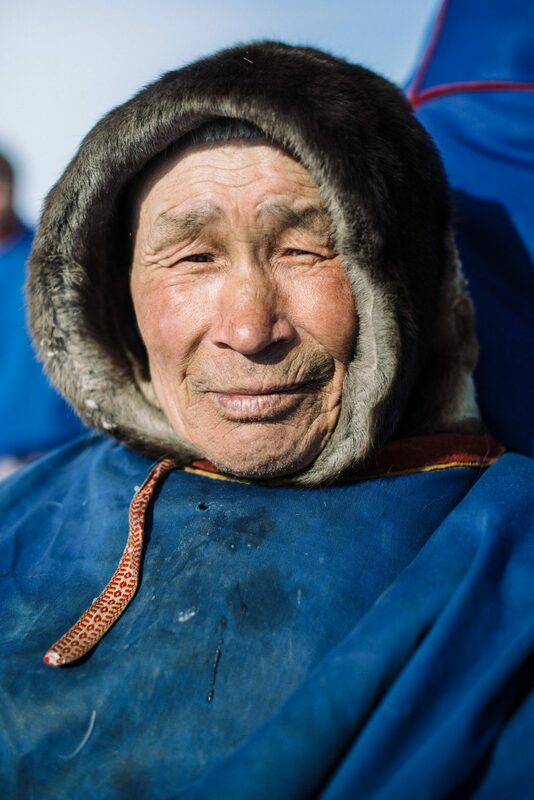 With a clan-based social structure, Nenets culture follows ancient shamanistic and animistic belief systems. 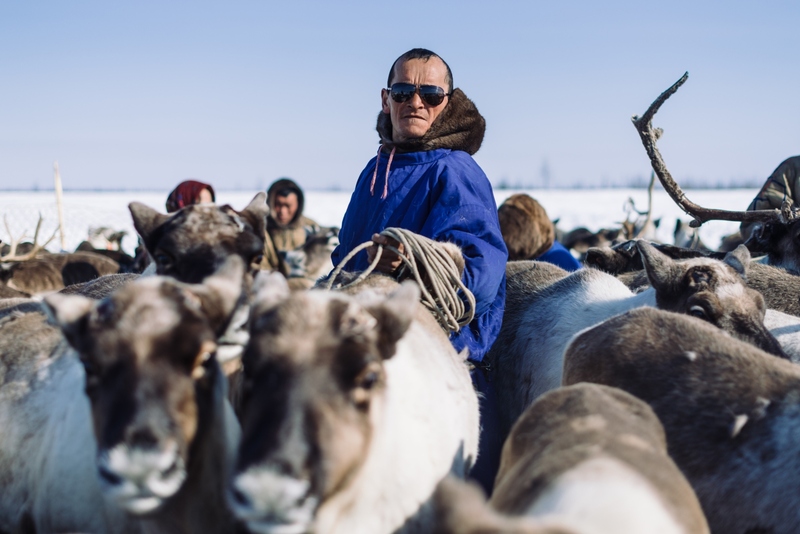 Stressing respect for the land and its resources, they migrate Siberia’s largest reindeer herds, owing every element of their existence to their animals, from their income to their food to their clothing. After the Russian Revolution, in 1917 the Soviet Collectivisation Policy forced Nenets communities to settle permanently in towns and villages, eroding cultural identity and putting a full stop to long lines of herding families. 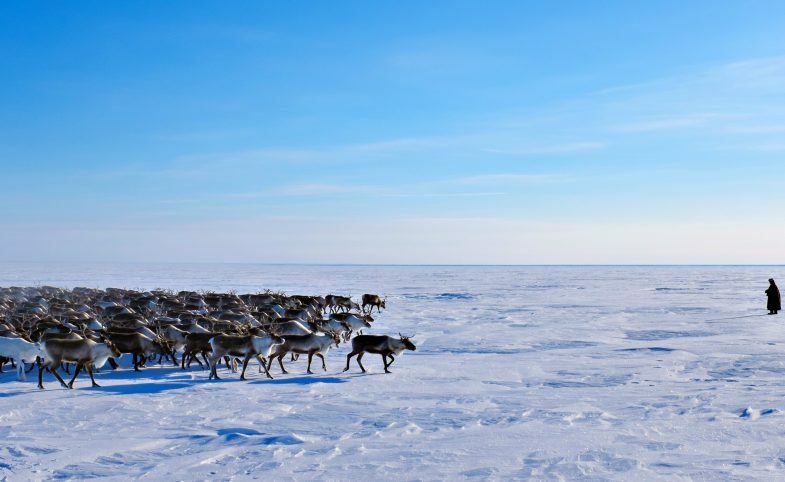 Today, less than 50,000 Nenets are spread across a region 750,300 km², UNESCO classifies their language endangered and the industrialisation of land alongside climate change continues to jeopardise their future. Pat’s line of work has for years facilitated a life of cultural exploration. Before settling permanently (at least for now) in Kyrgyzstan, as a fluent Russian speaker, he spent years travelling and subsequently living in Russia including extended periods in various indigenous communities along the way. 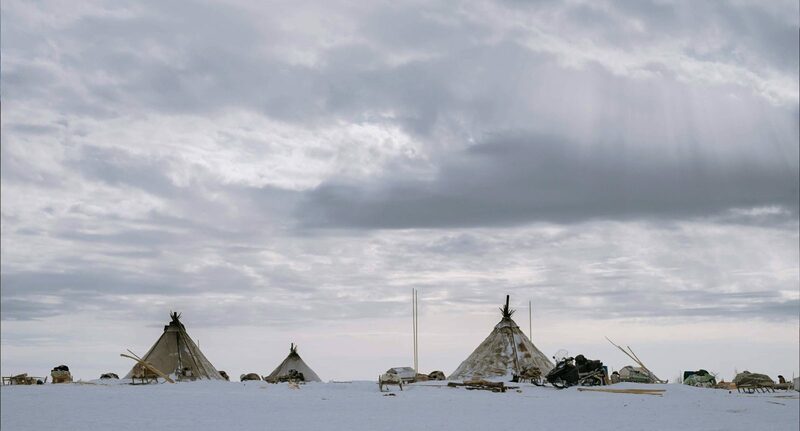 In 2016 and 2017 respectively, he spent two, two week long stints with Secret Compass immersed in the daily lives of Nenets communities on the Yamal Peninsula. It’s not by coincidence that Yamal translates into English as End of the Land. Extending north into the Kara Sea, the Yamal Peninsula sits well within the Arctic Circle. Salekhard, the peninsula’s gateway and the region’s capital, is 4,300km north east of Moscow. From here, a seven-hour drive will take you along the Ob river to Yar Sale. Then, depending on exactly where the Nenets are, meeting up with the brigades can take anything between a couple of hours and all day on a snowmobile. Enclosed by perpetual whiteness, in the tundra temperatures drop as low as minus 40 as frigid winds rush across the surface of the unbroken barren, flattened landscape. 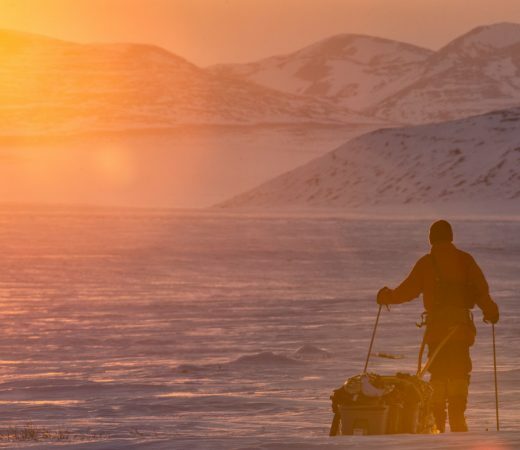 Here, the survival of visitors to the tundra relies wholly on the hospitality of this indigenous community. But in catering for foreign guests, no time is afforded from their normal schedules. Daily life is still tough and the challenges of weather still aplenty, regardless of their temporary company, and for curious visitors, in an unfamiliar environment there’s a fine line between the role of contributing guest and a burden. Depending on their herds and weather conditions, the Nenets rarely spend more than a few days in the same location. As such, packing-down and setting-up their chums becomes a routine task, precise and methodical in process. Loaded onto sleds, everything has its allocated place, only to be set up again in mirror perfect fashion. “This domesticity provides the Nenets with stability in an otherwise void landscape and the routine systems allow them to set-up quickly in a storm or in the dark. But if we don’t know where everything goes, it’s better to step aside and await instruction,” explains Pat. Perhaps a more grizzly aspect of the Nenets culture is the unequivocal killing of their own reindeers. A vital component of Nenets diets, meat and blood is often consumed raw. Often prepared on the tundra floor, smears of red juxtapose against the unspoilt white. Reindeer death though, is not something taken lightly. With their heads always facing east by tradition reindeers are strangled by lasso careful not to waste a drop of blood. It’s a duty reserved exclusively for male elders within families, systematically executed and very rarely participated in by anyone outside of the communities. 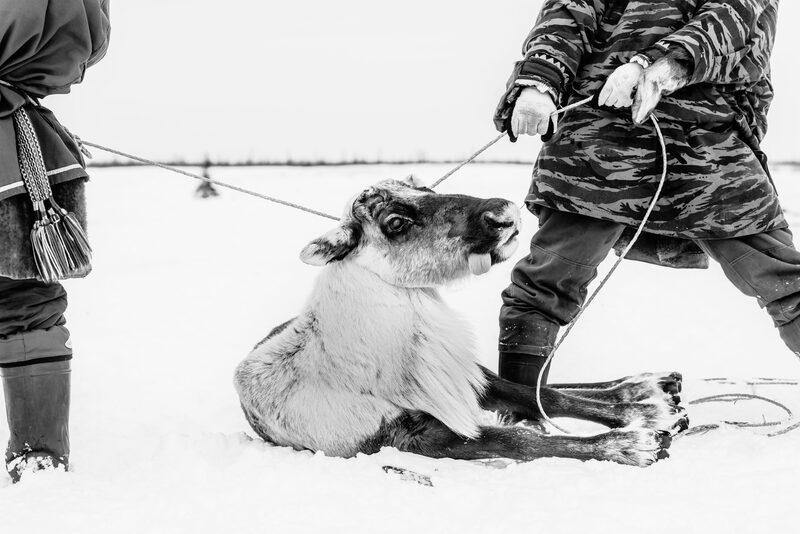 Governed through strict belief systems, while they may seem arbitrary to outsiders Nenets culture contains a maze of traditional rules, particularly around gender roles. A major aspect of women’s lives for example is sya mei, a force which puts behavioural restrictions on anyone connected with birth and death – be it new born children, attendees of a recent funeral and all post-pubescent women. 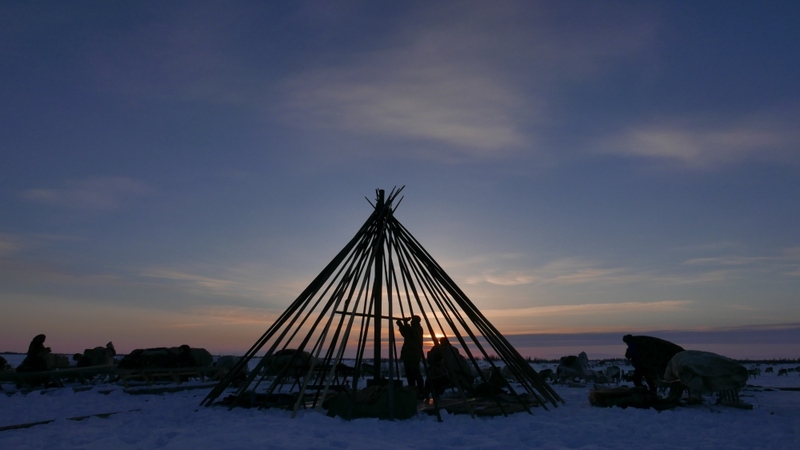 Women must not step over or sit on lassos, ropes or harnesses or cross an unmarked line which runs from the central pole in the chum to the sacred pole at the back of the chum and out into the tundra. As Mark Twain put it best, ‘travel is fatal to prejudice, bigotry and narrow-mindedness’ and seldom does the sentiment ring truer than in experiencing cultures of Earth’s farthest reaches, amongst communities for which we know so little and where Western influence is minimal. But as travellers striving for mutual cultural exchange, our responsibility lies in a mindful approach to seeking those experiences. Perhaps ironically, experiencing the unfamiliar presents opportunity for genuine introspection. 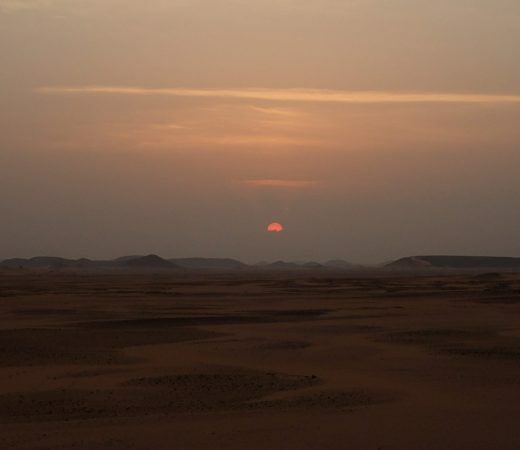 A chance to ponder our own time on Earth and our relationships with each other – the connections we form and the stories we tell of these adventures are the tangible relics which surpass our own existence.